NEW YORK • Tiger Woods' improbable Masters victory will reward the few companies that stuck with him through his struggles, and the ones that joined him when he was near the low point of his career. The 43-year-old won his fifth Masters title on Sunday for his first Major victory in over a decade and just his second PGA Tour victory in more than five years. It's also a win for his sponsors. During the final-round telecast, when he made a late charge, he generated more than US$23.6 million (S$31.9 million) in exposure for various corporate partners, according to sponsorship analytics firm Apex Marketing Group. Bob Dorfman, a sports marketing executive at Baker Street Advertising, cited Woods' ability to attract even casual fans. Woods' return to golf's biggest stage will probably drive added interest in pro golf for a while and generate even more attention for his corporate partners. It will also renew debate over whether a healthy Woods can return to the dominance of his early career when he single-handedly boosted golf's status. Woods now has 15 Major titles, three shy of Jack Nicklaus' record 18. In the moments after his final putt on Sunday, long-time sponsor Nike released a video congratulating him on the feat, and highlighting his push to pass Nicklaus. The video uses audio from a three-year-old Woods listing his golf aspirations. "To think a 43-year-old who has experienced every high and every low, and has just won his 15th Major, is chasing the same dream as a three-year-old," the video said. At the height of his career, Woods was making US$110 million per year as the world's highest-paid athlete, including US$30 million from Nike, according to Forbes. Last year, the magazine reported his earnings as US$43.3 million, with just US$1.3 million coming from endorsements. • Bridgestone Golf: Golf balls since 2016, replacing Nike. • TaylorMade: Clubs since 2017, replacing Nike. 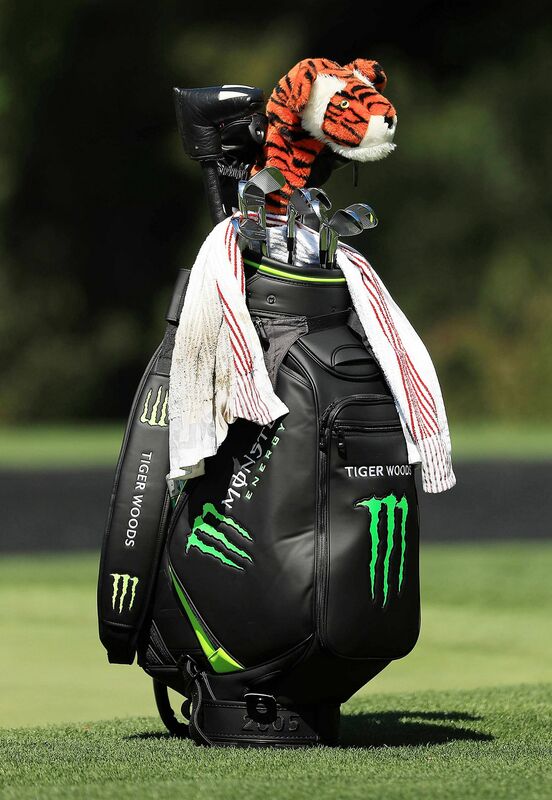 • Monster Energy: Golf bag sponsor since 2016. • Kowa: Japanese pain reliever since 2011, first endorsement after scandal. • Hero: India motorcycles since 2014. • Full Swing: Golf simulator since 2015. • Upper Deck: Sports memorabilia. • Nike: Clothes and equipment, mega deal started in 1996. • Upper Deck: Sports memorabilia since 2001. • AT&T, Accenture, Gillette, • Gatorade: All dropped him after scandal. • EA Sports: Tiger video game ended a few years after scandal. • Buick/General Motors: Ended in 2008, after his last Major but before scandal. • TLC Laser Eyes: Firm filed for bankruptcy in 2009. • Tag Heuer: Expired in 2011. No company is more closely associated with Woods than Nike, which signed him when he turned pro in 1996 and built its golf business around his stardom. In 2016, the company announced it would stop making golf clubs, balls and bags, but it is still Woods' apparel partner - the red Nike shirt he wore on Sunday is a familiar sight for most fans. But, over the past few years, he has had to look elsewhere for ball and club partners. During a decade marred by marital trouble, substance abuse and multiple surgeries, most of the other brands associated with Woods either dropped him outright or failed to renew their partnerships when they lapsed. They include AT&T, Procter & Gamble's Gillette, General Motors' Buick and watchmaker Tag Heuer. In their place is a new stable of partners. Monster Energy drink has been branding Woods' bag since 2016, TaylorMade is now his club sponsor and Bridgestone makes his golf balls. There are also smaller deals with Hero MotoCorp, an Indian motorcycle maker, and Kowa, a Japanese pharmaceutical company. Several of them sought to capitalise on the moment on Sunday, with Monster Energy musing what a tiger's favoured colour might be. During Sunday's final-round telecast, Woods' prominent placement was a boon to many of those brands. Nike saw US$22.5 million in exposure, according to Apex. Monster received US$960,000, while Bridgestone saw US$134,000. Those numbers will increase as highlights and print media push images of Woods' win across the globe. They'll also jump at later tournaments that receive a Woods boost in viewership and attention. They believed in the former world No. 1, and now they are reaping the rewards.